A wedding is one of the most extravagant events of a person’s life and it is said that your wedding invitation, offers the first look of your wedding to the guests. Therefore, they have to be impressive in every possible way! Weddings invites may not on the top your to-do list, but it shouldn’t be the last either. 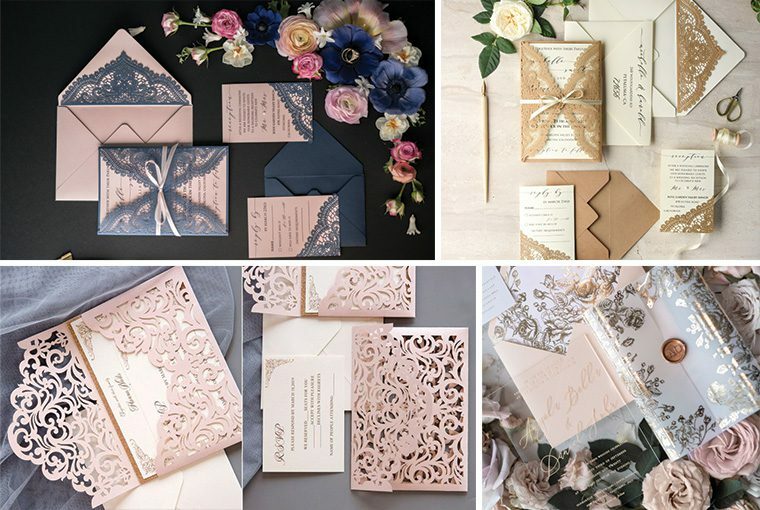 Selecting a perfect wedding invite is indeed a very tedious task as it involves going through a variety of styles as well as designs before making the ultimate pick. As we have mentioned earlier that your invite is the first look of your wedding, therefore, it should be designed as per the theme of your wedding. The invite should reflect your envisioned dream wedding. If it is a glam affair then you should go for some bold design or if you are having a day wedding then neutral or subtle shades should be your choice. Budgeting is really important when it comes to weddings and you must have set some budgets for your outfits, jewellery so you have to do the same for invites as well. You need to take notes of all the charges such as shipping, packaging and courier while sketching your budget for wedding invites. While planning your wedding, preparing your guest list must be the first thing you must have done. After that you need to count the number of households not the total number of people as if you are planning to invite 100 people then you’ll need nearly 65 printed invites. Also, keep some extras for the last minute additions in the guest list. The most important thing to consider with wedding invites is its accompaniments. The favours & yummy treats that you will be giving to your guests along with the invite helps to create the first impression. So, be careful while choosing the invitation accompaniments. You are advised to select them according to the season and even match them well with your invite. The words on your wedding invitations should reflect your wedding style and your story. So you need to put in a lot of thought while penning down the content to be written in your wedding invite. Be creative and add a personal touch the invite with the words so that your guests can also feel the love. We hope you will keep in mind the above-mentioned points while selecting your invite.